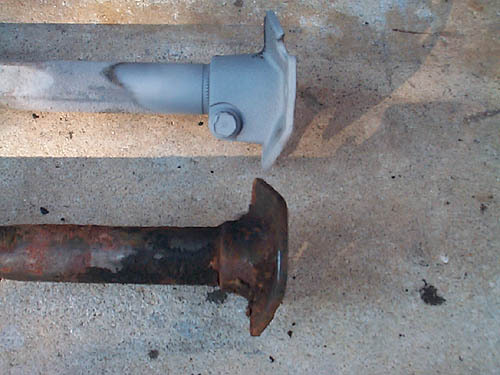 Here are two steering intermediate shafts (go between steering column and steering box). The one on top is from a factory GS 455 car, 1970. 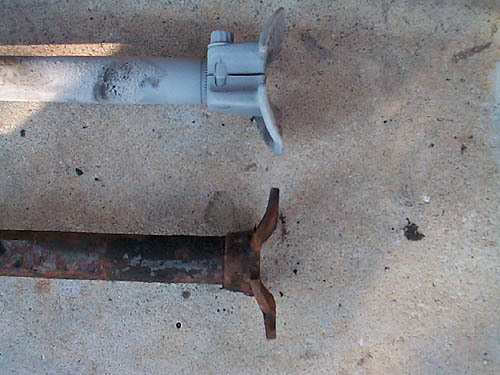 The one on the bottom is from a 72 Skylark 350. All GS455 models used the upper shaft and this is very helpful for 1971 models since the VIN does not indicate engine size. All Buick big blocks in Skylark models use the upper shaft (bolt-on flange) and so do all Oldsmobile 455 cars such as Cutlass, 442, Hurst.